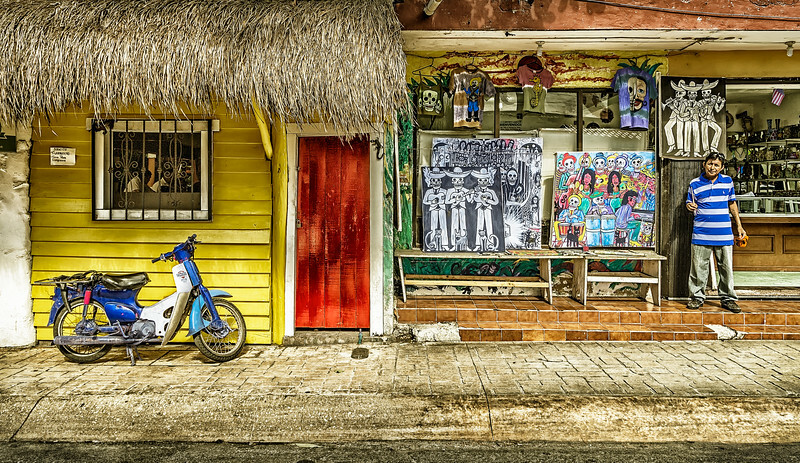 Here's a shot I took during a walk through the side streets of Cozumel. This fellow was working away on a painting when he noticed me walking by and turned around and waved for me to take his picture. Or maybe he was waving me over to buy one of his paintings. My Spanish is a bit rusty so I probably missed the connection.